Unlike a Will, a Private Trust works during one's lifetime and can be easily structured to meet specific requirements. The world over there are two preferred modes for succession planning - writing a Will or creating a Private Trust. Both are used in India, but with increasing entrepreneurship and complicated asset holding patterns even within families, Trusts are gaining popularity. A Private Trust's ability to ring fence assets against third-party claims, especially with the Bankruptcy Law being active since 2016, further explains the heightened interest among wealthy Indians for setting up Private Trust. Private Trusts also have an edge in some areas over traditional modes of succession planning like a Will. When asset-mix and family structure is straight forward, a Will can be a simple and effective tool for an individual to use. But, if there are many branches in a family tree and assets are spread out across geographies, it makes sense to set up a Private Trust. A Will needs a probate (a court certificate confirming that the Will is genuine) after the death of the Will maker. The process to get one may be tedious and expensive. A probate is a public document, which means it exposes the family to public glare should there be a dispute over the assets. In such a scenario, a Trust offers privacy. A Will can be challenged in the Court by any heir who is unhappy with the asset distribution. Unfortunately, the Will drawer will not be there to clarify his choice. This can result in bitterness among family members and lead to protracted legal disputes. On the other hand, grounds on which a well executed Trust can be challenged are fewer. A Will becomes active only on a Will-drawer's death, but a Trust can be created when the person is alive. 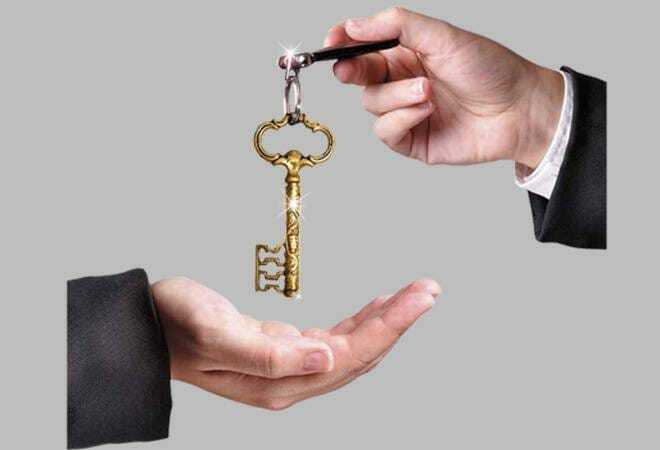 A Trust is a special vehicle in which assets are transferred by the person setting the Trust (called settlor). Trustees manage the assets for the sole benefit of the beneficiaries. So, the ownership of the assets moves from settlor to the trustees. Assets or benefits arising out of the property held by the Trust are then passed on to the beneficiaries as spelled out in the Trust deed. A Trust deed is an agreement that unambiguously specifies the objective and purpose behind the Trust. It clearly states, without any mistakes, the name of the settlor, the trustees and the beneficiaries, as well as a list of all the assets the Trust would hold. Assets could include immovable property, cash, car, jewellery, art and antiques, shares, fixed deposits, among others. The Indian Trusts Act, 1882, governs the formation of a Private Trust. To complete the legal formality, the Trust deed has to be signed by the settlor; at least two trustees and by at least two witnesses. The deed needs to be registered with an appropriate authority only if an immovable property is passed on to the Trust. It is highly advisable to take the services of a lawyer to ensure the legal validity of the Trust deed. A Trust ceases to exist when its purpose is fulfilled or when it is revoked by the settlor. A Trust can be formed to take care of the needs of family members in the event of untimely death or physical incapacity of the settlor. The objective may also include taking care of a special needs child after the settlor's death. The Trust deed can provide for milestone-based payments to cater to health, education, maintenance or support needs of beneficiaries. The Trust can also have conditions - they have to be legal - that have to be met before the trustees can pass on the benefit. 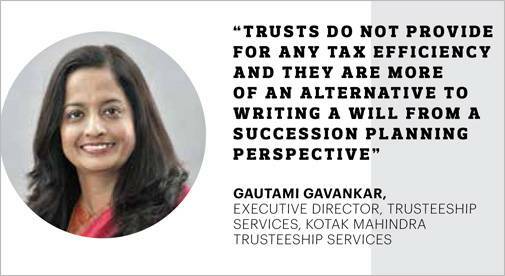 "Specific conditions when the beneficiary may, at the discretion of the trustee, be excluded as a beneficiary, can also be defined in the Trust deed," says Gautami Gavankar, Executive Director - Trusteeship Services, Kotak Mahindra Trusteeship Services. For instance, there may be a condition to cut off a family member who is a spendthrift or a substance abuser. The purpose of such conditions would be to avoid wastage of the settlor's wealth. A Trust can also be formed to protect assets in cases such as paying alimony in a divorce or third-party claims, as long as the assets are not transferred fraudulently or with the intent to defraud the creditors. "Many also create a Trust for their children to protect them from a failed marriage," says Amit Pathak, Managing Director, Warmond Trustees & Executors. "Some parents don't want their children to receive assets quite early in their lives, but when they attain maturity. There can be conditions to this effect," Pathak adds. All this means that a trustee's role is very important in any Trust. The Trust deed has to make clear the duties, power, function, manner of replacement and disqualification of trustees. A trustee can be a family member, a friend or a third-party professional. Corporate trustees are also gaining popularity. To avoid disputes, it is critical to appoint a trustee who is unbiased and has no vested interest. "The dispute could be related to management of the Trust's property and exercise of discretion (by Trustees); beneficiaries could claim that the Trustees are not fulfilling their duties," says Varghese Thomas, Partner at law firm J. Sagar Associates. Trustees have a fiduciary responsibility towards beneficiaries, and they have to act as per the Trust's objective. For a Trust to fulfil its purpose, the structure has to be appropriate. There are various ways in which a Trust can be designed, and there is no one size fits all. "The dynamics of no two families are the same and therefore, the structures will have to be decided in discussion with the family members. Typically, Indian laws recognise the creation of revocable and irrevocable Trusts," explains Gavankar. In a revocable Trust, the settlor can recall the assets parked in the Trust at any point in time. This means the settler doesn't lose control over the assets. In an irrevocable Trust, assets once transferred to the Trust cannot be called back by the settlor. Such a Trust is effective in preventing any third-party claims as the property now belongs to the Trust and not to the settlor. A Trust can also be discretionary - trustees can decide the beneficiary's share. In a non-discretionary Trust, a beneficiary's interest is pre-determined by the Trust deed. "An irrevocable and discretionary Trust can protect assets from creditors, current or potential, provided the assets have been transferred two years prior to the bankruptcy being declared," says Sandeep Nerlekar, Managing Director and Chief Executive Officer, Terentia, a Mumbai-based estate planning firm. He adds that such a structure can ring fence assets against genuine business risk, but not against fraud. Currently, India does not have inheritance tax, and the income generated from the Trust is liable to taxation. Tax on the income earned from a Trust's property may be levied in the hands of the settlor or the Trustee or the beneficiary, depending upon the structure of the Trust used. "Trusts do not provide for any tax efficiency and they are more of an alternative to writing a Will from a succession planning perspective. A Trust is only a vehicle to ensure consolidation of assets in a single pool and therefore, the tax rates that would be applicable in the hands of the individual would also apply to the Trust," says Gavankar. For instance, in the case of a non-discretionary irrevocable Trust, beneficiaries are liable to pay tax according to their tax bracket. In a revocable Trust, the settlor is liable to pay tax according to his tax bracket. In case of a discretionary Trust, it is the Trustees. The primary benefit of setting up a Trust are that the settlor can himself be one of the beneficiaries, and be able to witness the seamless succession of wealth to the next generation and also iron out any disputes. A well chalked out succession plan can help avoid family conflicts. Even worse is the possibility that the person of your choice is deprived of the assets that you wanted to bequeath. Anyone with a high net worth should consider setting up a Private Trust. People spend all their lives creating assets, so it's important that succession planning in done the right way.